A great way to spruce up the landscaping of your home is to plant some new shrubs and bushes. While trees are considered the ceiling of landscaping, flowers and plants the floor, bushes and shrubs are often thought of as the walls of outdoor design. 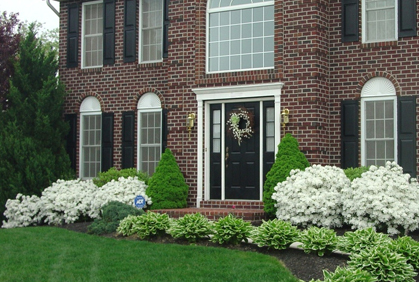 There are many types of bushes and shrubs to incorporate into your exterior design plans that will match any style home and add a touch of color and beauty. 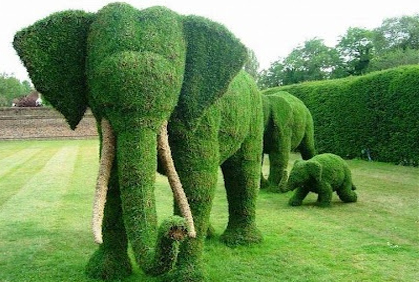 One great thing about bushes is that they typically require little maintenance and upkeep. Shrubs are easy to plant and often are fast growing, so you won’t have to wait long to see the finishing touches of your design. Our site can provide you with great home and landscaping design ideas and pictures, to help you find the perfect inspiration for your exterior plans. 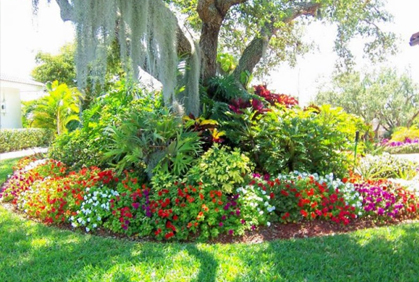 There are many different types of bushes for landscaping to choose from for your home. Depending on the look you are going for, you will want to select specific plants. There are tall, shore, wide, or thin and colorful bushes that you can add to your landscaping no matter the design of your home. Bushes and shrubs of the evergreen family can be a great addition because they keep their deep green shade year round. Holly bushes and boxwood shrubs are popular in this family. Another great bush is the Green Giant Arborvitae which can be planted along the perimeter of your yard to create a beautiful and natural privacy fence. These bushes and shrubs for landscaping grow to be up to sixty feet tall and twenty feet wide so you can ensure that your yard is kept private while also maintaining a beautiful appearance. 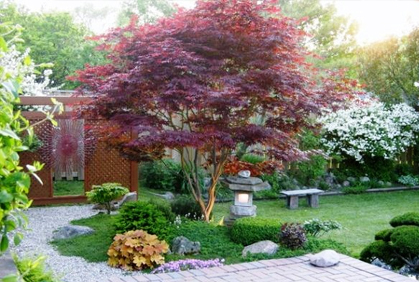 Another great source for design inspiration is free landscaping design software. These programs allow you to digitally plan out your exterior plans to help you select the best layout for your home. The online landscape software comes preloaded with countless trees, flowers, and other plant options, including bushes and shrubs. Find free downloads of these programs to help you get started on your diy landscaping project today. Another great option for your backyard designs 2017 is to plant blooming shrubs and bushes. While on the slightly more expensive side, flowering plants can be a great addition to any landscaping plan because they will add color and pizazz to any yard. Popular shrubs and bushes for landscaping choices in this plant variety are the weigela or French Lilac. If you are unsure of the types of shrubs for shade you should plant around your home, a great way to find inspiration is to search through our online photo galleries. Here you will find images of all types of landscaping design ideas that are popular in 2017 and incorporate bushes and shrubs into the plans. See how others layout the plants in their yard to create the best look possible. The first which produces bold pink flowers and burgundy foliage in the fall, while the later shrub can grow up to twenty two feet tall and wide and produces beautiful purple flowers. 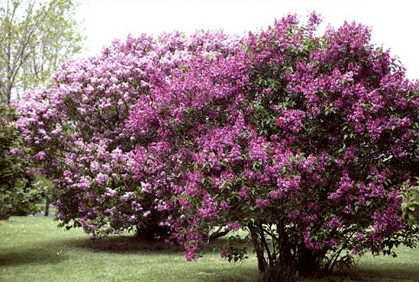 Some of the best flowering shrubs often grow quickly and provide great ornamentation for any yard. Oher popular bushes in 2017 include shrubs that are a purple hue. The purple leaf sand cherry is considered a tree and a shrub and produces stunning purple foliage year round. These can be great to add a pop of color to your landscaping designs. 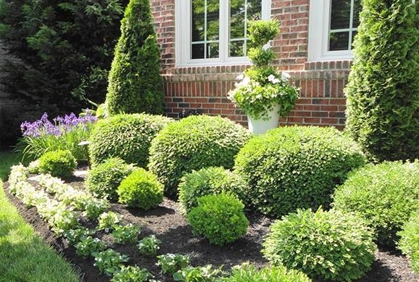 No matter what style home you have, planting bushes and shrubs in your landscape plans can be a great addition.